structuralBoundaryLoad(structuralmodel,RegionType,RegionID,'SurfaceTraction',STval,'Pressure',Pval,'TranslationalStiffness',TSval) specifies surface traction, pressure, and translational stiffness on the boundary of type RegionType with RegionID ID numbers. You can specify translational stiffness for a static, transient, or modal analysis. To specify pressure or surface traction, structuralmodel must be static or transient. Structural models for modal analysis cannot have pressure or surface traction. Surface traction is determined as distributed normal and tangential forces acting on a boundary, resolved along the global Cartesian coordinate system. Pressure must be specified in the direction that is normal to the boundary. A positive pressure value acts into the boundary (for example, compression). A negative pressure value acts away from the boundary (for example, suction). Translational stiffness is a distributed spring stiffness for each translational direction. Translational stiffness is used to model an elastic foundation. structuralBoundaryLoad does not require you to specify all three body loads. 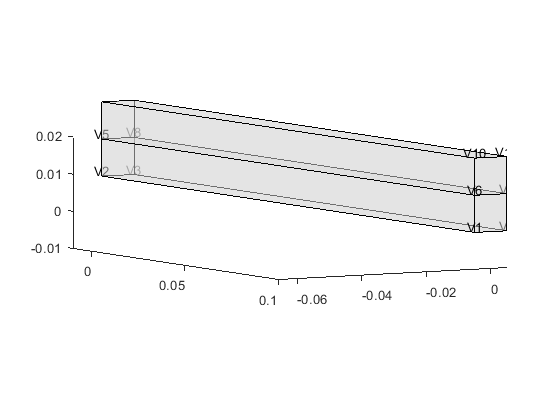 Depending on your structural analysis problem, you can specify one or more boundary loads by picking the corresponding arguments and omitting others. The default boundary load is a stress-free boundary condition. structuralBoundaryLoad(structuralmodel,'Vertex',VertexID,'Force',Fval) specifies concentrated force at a vertex with the VertexID number. structuralBoundaryLoad(___,'Vectorized','on') uses vectorized function evaluation when you pass a function handle as an argument. If your function handle computes in a vectorized fashion, then using this argument saves time. See Vectorization (MATLAB). For details of this evaluation, see Nonconstant Boundary Conditions. Use this syntax with any of the input arguments from previous syntaxes. structuralBoundaryLoad(___,'Pressure',Pval,Name,Value) lets you specify the form and duration of a nonconstant pressure pulse for a transient structural model without creating a function handle. When using this syntax, you must specify the model, region type and region ID, and pressure. Surface traction and translational stiffness are optional arguments. structuralBoundaryLoad(structuralmodel,'Vertex',VertexID,'Force',Fval,Name,Value) lets you specify the form and duration of a nonconstant concentrated force for a transient structural model without creating a function handle. boundaryLoad = structuralBoundaryLoad(___) returns the boundary load object. Apply fixed boundaries and traction on two ends of a bimetallic cable. 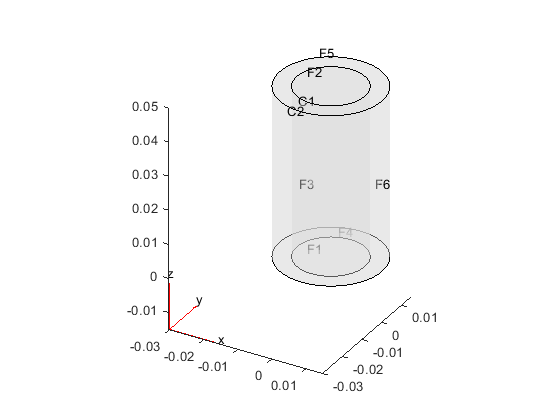 Create nested cylinders to model a bimetallic cable. 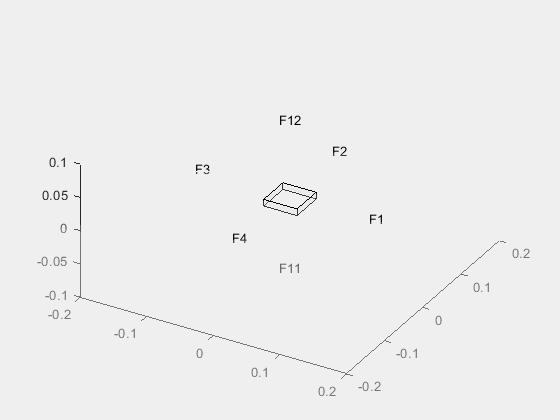 Assign the geometry to the structural model and plot the geometry. For each metal, specify the Young's modulus and Poisson's ratio. The bottom face of the block is resting on an elastic foundation (a spring). To model this foundation, specify the translational stiffness. Specify a force value at a vertex of a geometry. 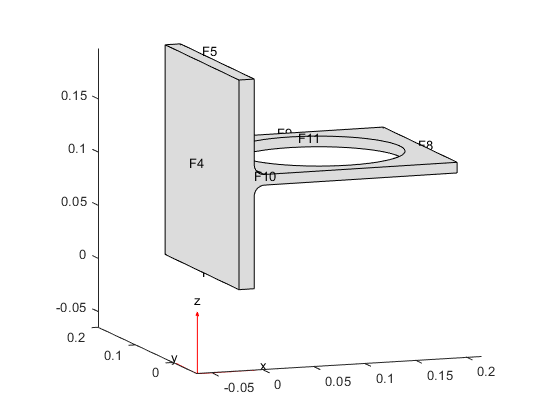 Create a structural model for static analysis of a solid (3-D) problem. Create the geometry, which consists of two cuboids stacked on top of each other. Include the geometry in the structural model. Plot the geometry and display the face labels. Rotate the geometry so that you can see the face labels on the left side. Plot the geometry and display the vertex labels. Rotate the geometry so that you can see the vertex labels on the right side. Specify that faces 5 and 10 are fixed boundaries. Specify the concentrated force at vertex 6. Use a function handle to specify a harmonically varying pressure at the center of a thin 3-D plate. Create a geometry consisting of a thin 3-D plate and a small plate in the center. Include the geometry in the model and plot it. Apply a harmonically varying pressure load on the small face at the center of the plate. Specify a harmonically varying pressure at the center of a thin 3-D plate by specifying its frequency. Specify that face 4 is a fixed boundary. Apply a rectangular pressure pulse on face 7 in the direction normal to the face. Specify a short concentrated force pulse at a vertex of a geometry. Specify a short concentrated force pulse at vertex 6. Specify zero initial displacement and velocity. Because the load is zero for the initial time span and is applied for only a short time, solve the model for two time spans. Use the first time span to find the solution before the force pulse. Use the second time span to find the solution during and after the force pulse. Plot the displacement value at the node corresponding to vertex 6, where you applied the concentrated force pulse. Static or transient structural model, specified as a StructuralModel object. The model contains the geometry, mesh, structural properties of the material, body loads, boundary loads, and boundary conditions. Geometric region ID, specified as a positive integer or vector of positive integers. Find the region IDs using pdegplot, as shown in Create Geometry and Remove Face Boundaries or STL File Import. Vertex ID, specified as a positive integer or vector of positive integers. Find the vertex IDs using pdegplot. Distributed normal and tangential forces on the boundary, resolved along the global Cartesian coordinate system, specified as a numeric vector or function handle. A numeric vector must contain two elements for a 2-D model and three elements for a 3-D model. 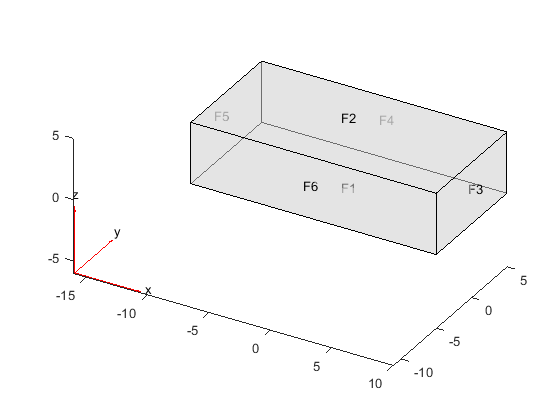 The function must return a two-row matrix for a 2-D model and a three-row matrix for a 3-D model. Each column of the matrix must correspond to the surface traction vector at the boundary coordinates provided by the solver. In case of a transient structural model, STval also can be a function of time. Pressure normal to the boundary, specified as a number or function handle. The function must return a row vector with each column corresponding to the value of pressure at the boundary coordinates provided by the solver. In case of a transient structural model, Pval also can be a function of time. A positive value of pressure acts into the boundary (for example, compression), while a negative value pressure acts away from the boundary (for example, suction). Distributed spring stiffness for each translational direction used to model elastic foundation, specified as a numeric vector or function handle. 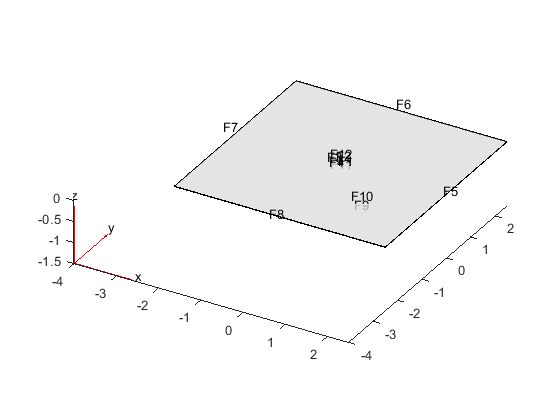 A numeric vector must contain two elements for a 2-D model and three elements for a 3-D model. 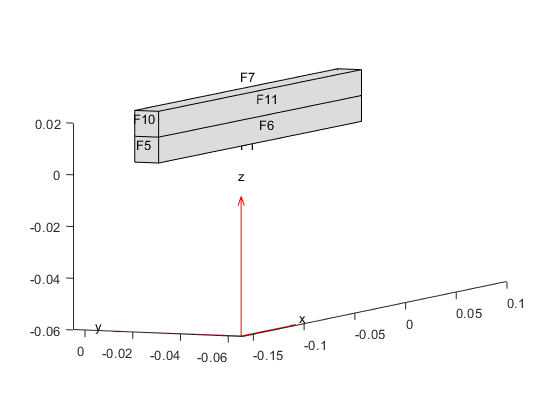 The custom function must return a two-row matrix for a 2-D model and a three-row matrix for a 3-D model. Each column of this matrix corresponds to the stiffness vector at the boundary coordinates provided by the solver. In case of a transient structural model, TSval also can be a function of time. Concentrated force at a vertex, specified as a numeric vector or function handle. Use one or more of the name-value pair arguments to specify the form and duration of the pressure or concentrated force pulse. Specify the pressure or force value using the Pval or Fval argument, respectively. You can model a rectangular, triangular, and trapezoidal pressure or concentrated force pulses. If the start time is 0, you can omit specifying it. For a rectangular pulse, specify the start and end times. 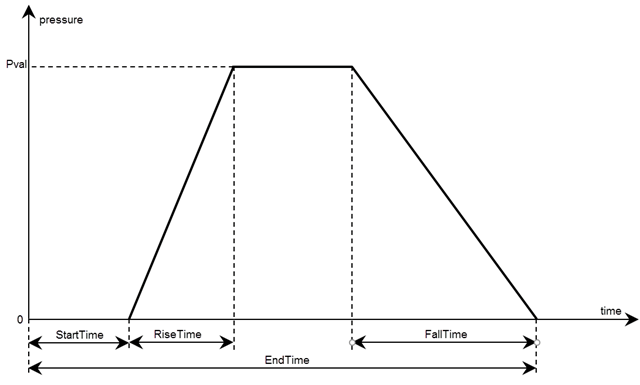 For a triangular pulse, specify the start time and any two of the following times: rise time, fall time, and end time. You also can specify all three times, ensuring that they are consistent. For a trapezoid pulse, specify all four times. 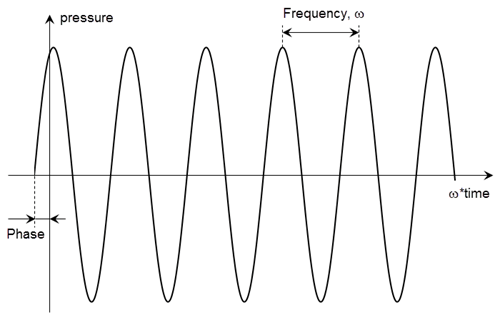 You can model a harmonic pressure or concentrated force load by specifying its frequency and initial phase. If the initial phase is 0, you can omit specifying it. Start time for pressure or concentrated force load, specified as a positive number. Specify this argument only for transient structural models. End time for pressure or concentrated force load, specified as a positive number equal or greater than the start time value. Specify this argument only for transient structural models. Rise time for pressure or concentrated force load, specified as a positive number. Specify this argument only for transient structural models. Fall time for pressure or concentrated force load, specified as a positive number. Specify this argument only for transient structural models. 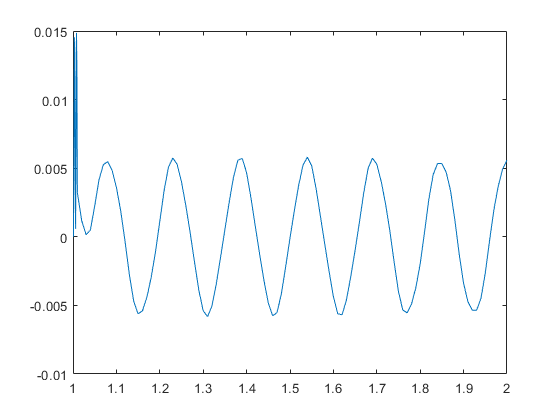 Frequency of a sinusoidal pressure or concentrated force, specified as a positive number, in radians per unit of time. Specify this argument only for transient structural models. Phase of a sinusoidal pressure or concentrated force, specified as a positive number, in radians. Specify this argument only for transient structural models. Handle to boundary load, returned as a StructuralBC object.